Equal Pay Day was originated by the National Committee on Pay Equity (NCPE) in 1996 as a public awareness event to illustrate the gap between men’s and women’s wages. Today more than ever, equal pay has become front and center, especially since the women in Hollywood are speaking out about the disparity in wages between men and women. It is on a Tuesday in April. A Tuesday was selected to represent how far into the next work week women must work to earn what men earned the previous week. 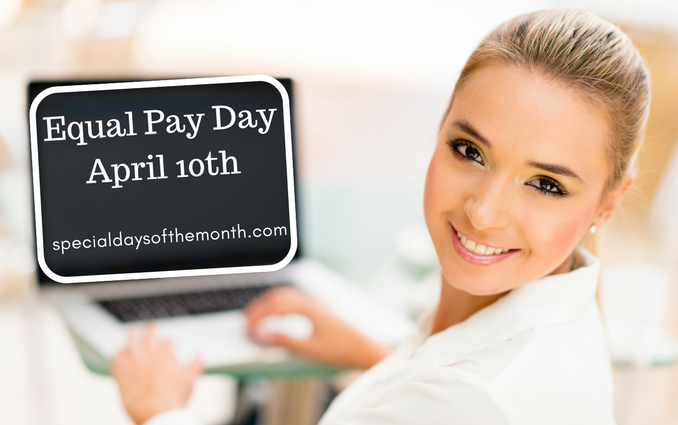 How can you honor Equal Pay Day? Businesses can review the pay of men and women in their company and see how they can achieve equal pay. Trivia/Facts about Equal Pay Day? Another holiday celebrated on April 10th is National Siblings Day.